When scones are beautifully baked, it's an experience that's really quite special. 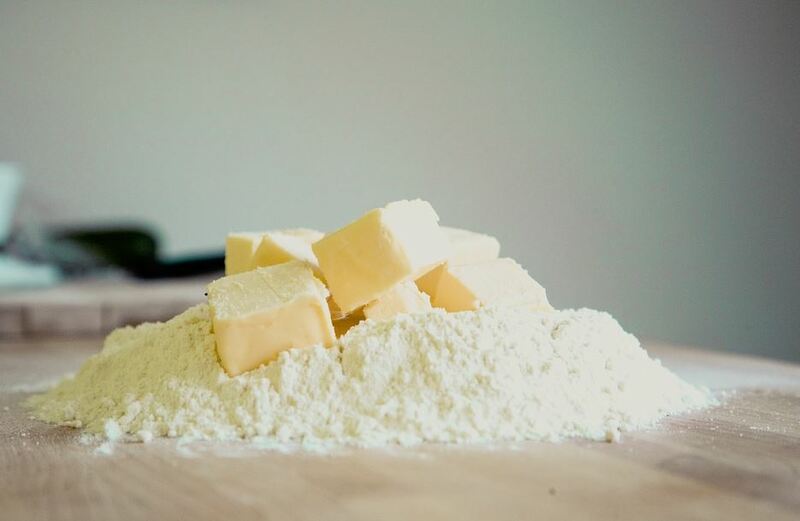 Light-as-air, buttery, elegant... We know exactly what we like here at Classic Cornish Hampers, so if your scone results are less than perfect, we'll take you through our top 5 pitfalls and slip-ups to avoid! Difficult to break and a nightmare to cut, sloping scones are one of the most common problems that we encounter... and we'll tell you exactly how to get rid of them! Sloping is often apparent when you break the scone and is characterised as an uneven thickness. Make sure you use a rolling pin with consistent pressure, making sure the dough is needed for a long enough time to help the flour to spread evenly within the mixture. Your ratios are likely to be off! 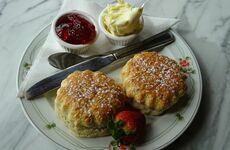 Speckling on scone is something that can really bug us avid afternoon tea-ers, it could be that the flour hasn't been thoroughly sieved or there's too much sugar in the mix. Either way, something in your process is likely to be off. Pallid looking scones are usually caused by baking them too low or too cool in the oven. If you want to get a scrumptious looking brown top, brush them with either egg or milk before baking for a finish that no one will be able to resist. Scones should be light, fluffy, buttery flavour, but if they feel anything but light, you may have over-done it with the flour, been too touchy-feely with the dough or your oven may not have been hot enough. 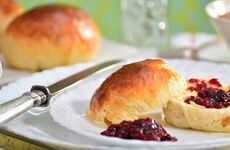 The perfect scone should have a strong form and shape, but if they have become irregular or abnormal looking, the mixture may have been to liquid-y in the first place or you may have over-greased your baking tray.